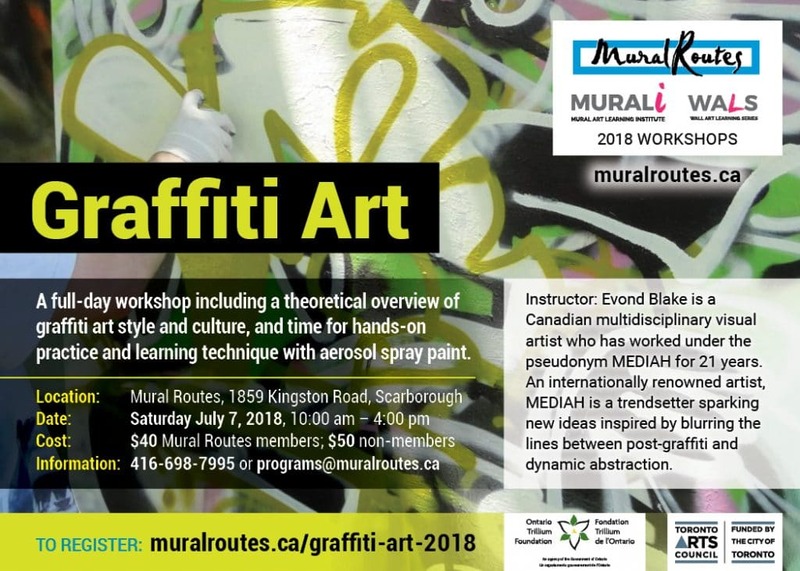 A full-day workshop including a theoretical overview of graffiti art style and culture, and time for hands-on practice and learning technique with aerosol spray paint. Instructor: Evond Blake is a Canadian multidisciplinary visual artist who has worked under the pseudonym MEDIAH for 21 years. An Internationally renowned visual artist, MEDIAH is a trendsetter sparking new ideas and originality inspired by blurring the lines between post-graffiti and dynamic abstraction. Cost: $40 for Mural Routes members, $50 for non-members.